How much would you pay for a mail-order side dish? Every fall, Neiman Marcus releases its Christmas Book—a catalog filled with holiday gift ideas that range from affordable little luxuries (like this marble-print S'well water bottle, $35) to wild, once-in-a-lifetime fantasy experiences (think: this $500,000 trip to the Grammys). The department store's holiday offerings have always been pretty mindblowing, but this year, Neiman Marcus is selling one unexplainable holiday food item that has the Internet up in arms: a $66 frozen side order of collard greens that feeds eight to 10 people. 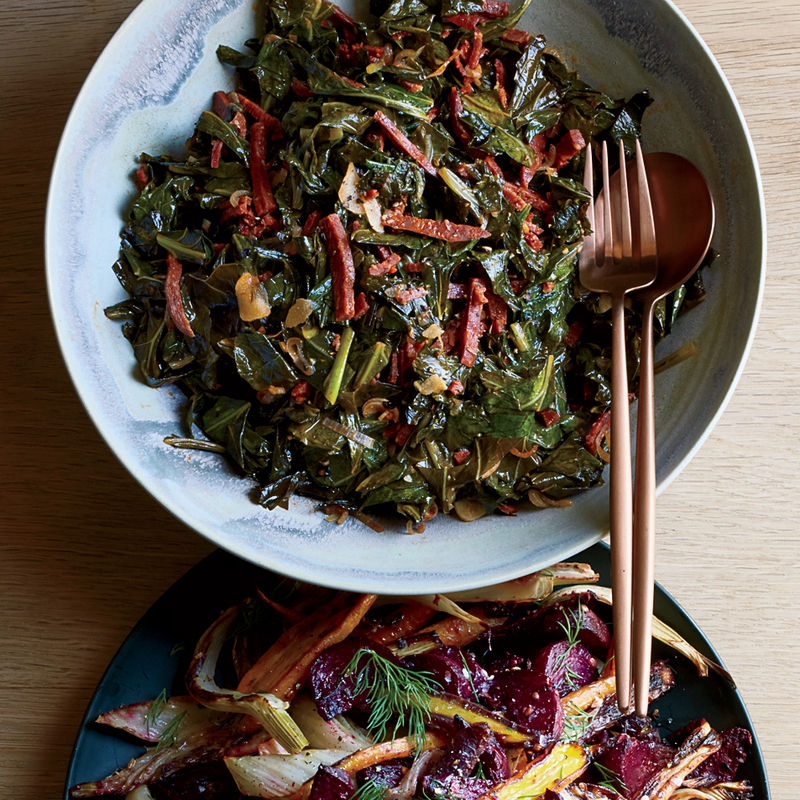 The item is described as "collard greens seasoned with just the right amount of spices and bacon." Yeah, that's it. Oh, and they're "made in the USA." Besides that info, there's not a lot to go on—and not a whole lot of explanation or insight as to why ten servings of collard greens—which would ordinarily sell for a few dollars at the supermarket—are priced at $66. "Do you know how many pounds of greens you could get for $66 at a grocery store?" The Root asks. "And who's cooking these greens? Is there some secret Neiman Marcus kitchen run by a grandmother or Paula Deen?" Neiman Marcus will now be selling collard greens for $66 plus $15 dollars extra for shipping! There must be GOLD flakes in those greens! I hope the only reason the Neiman Marcus collard greens are sold out is journalists bought them all so they could write thinkpieces. Neiman Marcus may be born in Texas but they are doing they damn best to ruin our food & make it crazily unaffordable. All the mockery hasn't hurt sales of the frozen vegetables—this morning, Neiman Marcus's collard greens sold out. Don't worry if you have a ton of cash burning a hole in your pocket, though—there's always the $80 baked beans.